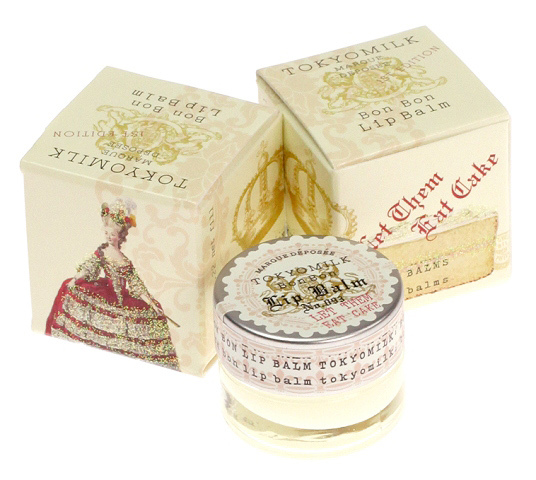 How adorable is this lip balm from US brand Tokyo Milk? Our highly moisturising and lightly fragranced lip balms are truly a work of art. Each balm is flavoured to leave a hint of sugary sweetness on the lips to make them extra soft and extra kissable. Each balm contains a kissing tip as well as a famous quote inscribed on the inside of the lid. Would make a great gift as i love the packaging!!!! So beautiful! If you drop by Anthropologie in Regent St, London, they have a selection of Tokyomilk perfumes! They don’t stock the lip balms though, but I was so tempted to get a perfume. That’s a US product? Strange. I’ve never seen it! @Citrine – £10 is way expensive for a lip balm… I still love the packaging though! Oooh that looks pretty! not sure if it’d be worth a tenner though? @RedTiger21 – You’re probably right lol.. spoilsport! The packaging is so cute! A bit expensive for a lip balm tho! OMGOMGOMG!! I CAN’T BELIEVE YOU BLOGGED ABOUT THIS!! I got it for crimbo! Haha, it smells DIVINE, but unfortunately it doesn’t reaaaaaaaaally help me horrible lips. Ooft, Winter – give us a breaaaaak! You should totally buy it though, just for the smell!